Drift boating down the Goulburn is a great experience. I will do it again and I suggest you do it also. Been a regular client with Ant and the crew for years now. There really isn't much they don't know about fly fishing. They go out of their way above and beyond every time to make sure each drift is rewarding and unique. Hopefully I will be regular for years to come. Thanks. drift fishing on the G with antony is one of the finest fishing experiences i've had. antony will not only put you onto fish but improve your fish craft and insect knowledge in one session. you will be a better fisherman/woman after this tranquil, informative and exhilerating experience. antony and his team care deeply about the river and are not looking to exploit it's fishing - rather to preserve it. i wish i could say the same about all guiding operations. thanks again antony - looking forward to the next one. Spent an evening in a drift boat on the Goulburn. My first time drifting.....absolutely fantastic, a great way to see the river😀 Great company (thanks Anthony!) and 2 nice fish to hand. Great advice and flies for the local area. Drift boats fantastic. 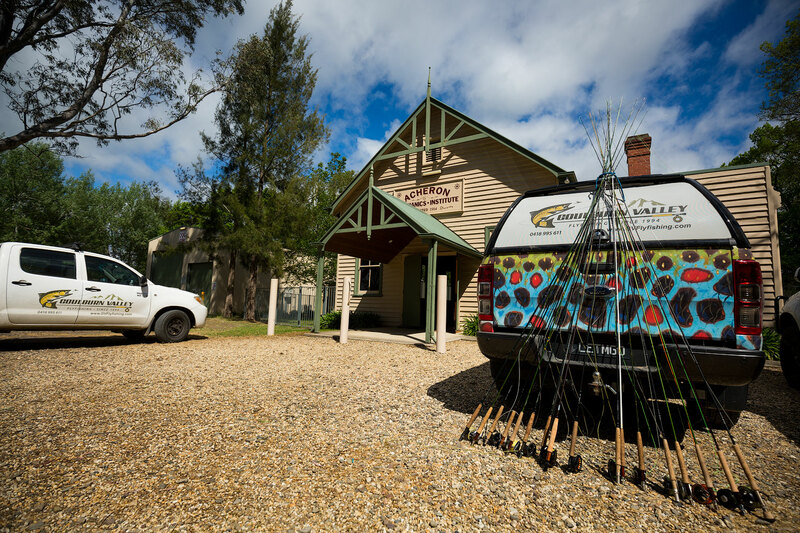 The guys at GVFFC are simply the best when it comes to fly fishing and guiding the Goulburn, Rubicon, Steavenson and other rivers in the area - nobody else comes close. I was lucky enough to have a day of guiding on the Goulburn recently, and their knowledge of the river is nothing short of incredible. I consider myself a fairly experienced fly fisher, but the level of advice and expertise they were able to offer was really eye opening. Everything from reading the water, to new tactics, to local knowledge of trout behaviour and which flies work best in which conditions - it's amazing just how much they can improve your fishing. To top it all off, they're great guys with a real passion for sustainable fishing. Do yourself a favour and book an experience with them - you won't regret it. Get full access to this website for less than the cost of one trout fly per week!